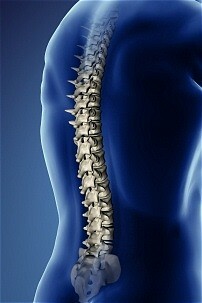 The first stage of spinal degeneration is when there is a minor loss of normal spine balance and spinal curvature. The surrounding features of the spine (such as nerves, discs, and joints) begin to age more quickly and are continually more stressed. This stage of the degeneration process rarely is accompanied with any major pain. At this point, there is a good chance that with the proper care you can return to normal. In the second stage of spinal degeneration, there is a often narrowing of the discs and potential deformation in the bones. Your posture will likely begin to degenerate as well at this point. As the spinal canal, or opening, begins to narrow, there are generally significant aches and pains associated. Fatigue and stress are more common at this stage. There is still a good chance of improvement with the proper care. In the third stage of spinal degeneration, there is significant physical and mental involvement due to the level and severity of the issues present. There is most likely nerve damage as well as deformation of the bones and discs. There is a significant loss of energy and height at this point. Some reversal is possible. In the fourth stage of spinal degeneration, most damage is permanent including scar tissue, nerve damage, and deformation. At this point, the condition is irreversible. Management of pain and discomfort is the best option.